I seem to keep reviewing shops that are currently closed, and One Orange Snowflake is no different. 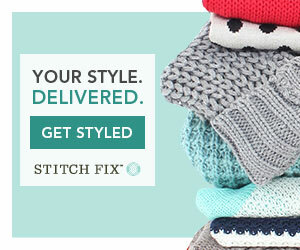 But it's another of my favorite shops, so I would highly recommend checking them out once they reopen. 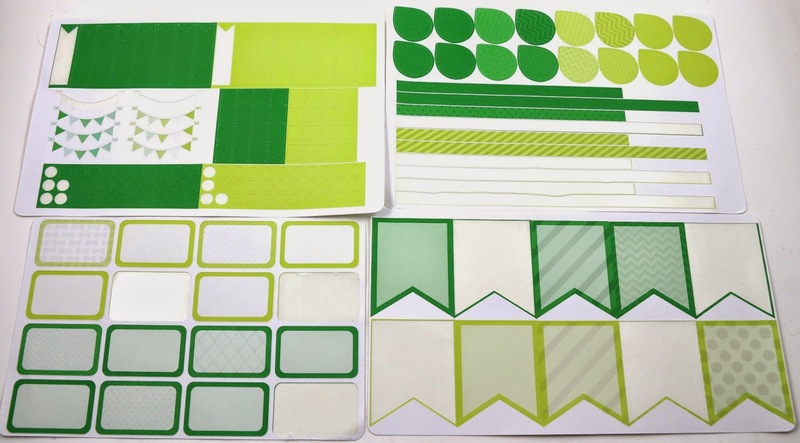 They have some of my favorite monthly kits, which are great for decorating in the Erin Condren monthly colors. You can see I already used some of these stickers before I took the photos, whoops. But you can get a better idea of how they look. Note that these stickers are all matte, and can be somewhat repositioned. 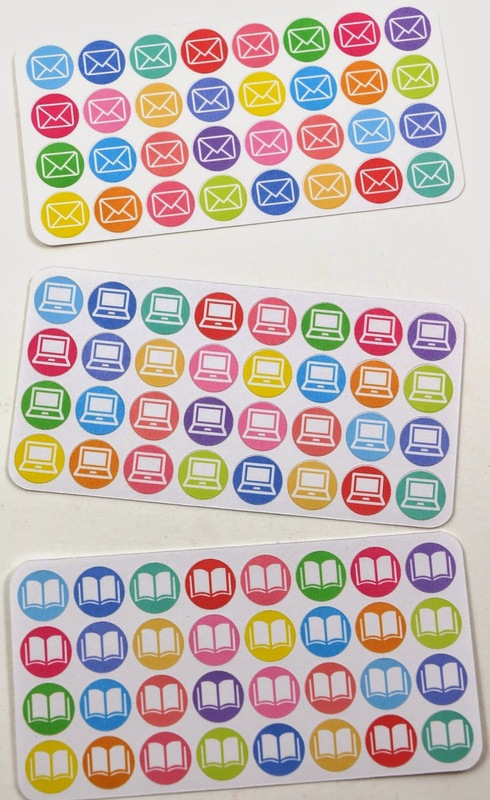 For all of the stickers, you can choose between matte or glossy. 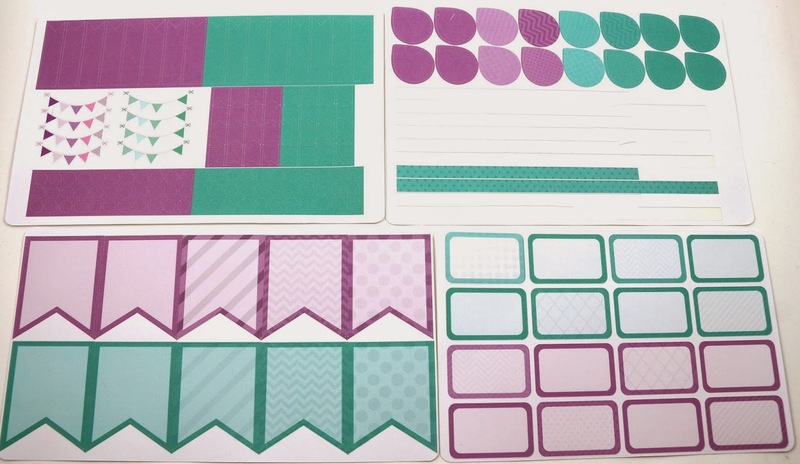 All of the monthly kits have the same kinds of stickers, in two colors to coordinate with each month's Erin Condren color scheme. There are 180 stickers, in flags, corner circles, half boxes, full box flags, dots, banners, and strips for the bottom text. 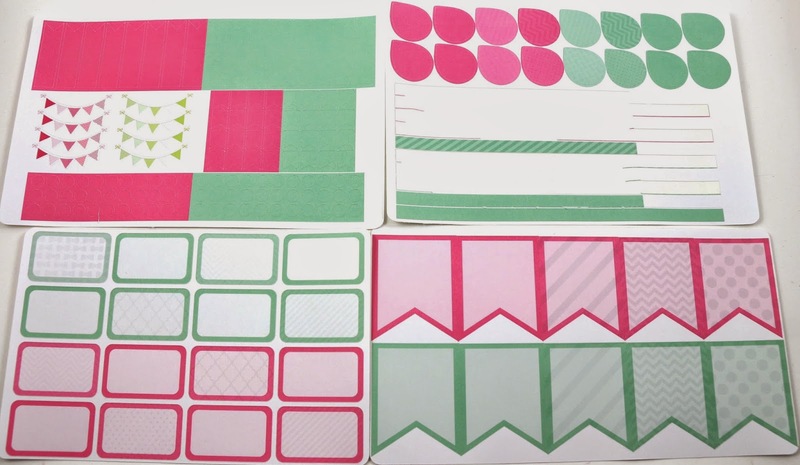 That's one reason I originally picked out these monthly kits, were the strips to cover the bottom text in the Erin Condren planner. 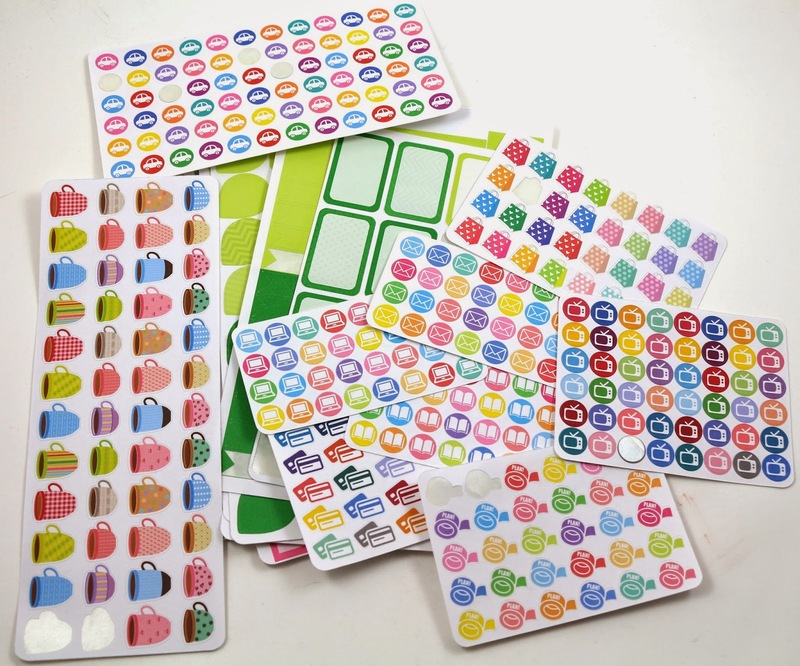 There aren't many shops with monthly kits with those stickers included. I also really like that the boxes are light colored in the middle, which makes it easy to write on them and still be able to read it. April's kit is the same, but with the April colors. I love the color scheme for April, turquoise and purple, so cute! May is also the same, but with the May color scheme. Another set of colors I really like. I like using the small flags as countdowns to birthdays or anything like that. And the banners are nice because they only cover one day, so you can use two for the weekend, or just one for a special day, like a birthday or anniversary. 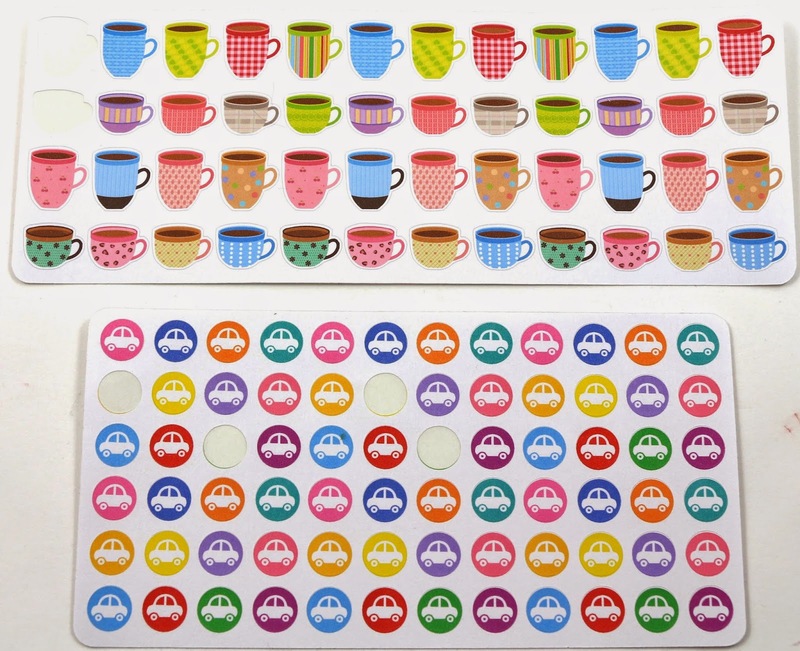 Most shops have coffee stickers, but I like these because there are tons of designs! 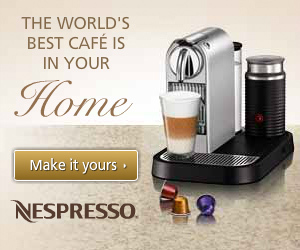 And I usually am making coffee at home, so it's in a mug instead of a Starbucks cup like other shops' stickers. I prefer general car stickers over something like a gas pump, because then you can use them for a car trip, repairs, renewing registration, gas, or anything else. I got these with the intent to use them for bills, but I have sort of changed my mind and use them to denote online purchases. A lot of shops have planning stickers, and these have fallen out of my favorites list. But I do like them because they are small, for when you have an otherwise busy day, but need to fit in a planning session. 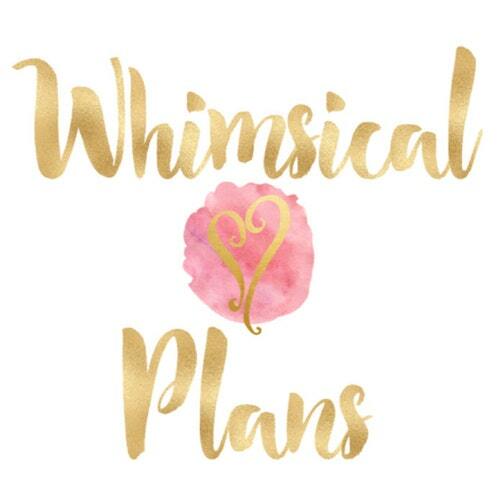 I am always planning pretty much everyday, but do my big weekly planning session usually on Sunday nights. I write in my shows I like watching on the nights they are on, and use these next to them. Even though I color code, and would know it's a tv show just by the color pen I used. But these are also nice because even if I write in the show, it doesn't mean I watched it that night. So I also can use these to denote what I was watching that particular day. These cute little shopping bags I like using for when I go on a spontaneous shopping trip out. Usually when I'm over at B's we sometimes go to Daiso or Target or something like that. I usually write in when things arrive in the mail, so these work well for that. I have an extensive color coding system for my blog posts, and usually don't mark when I write them just because that would be everyday. But sometimes I need to do things on my computer that are other things, like backing up, or something else, and use these for that. I'm trying to read more this year, and I've gotten back into my two book clubs. I'm usually trying to read at least two books a month, sometimes more, so these are good for marking my book club events, and when I read what. Overall, I really like the shop One Orange Snowflake, especially the monthly functional kits. And I like that you can choose between matte or glossy finish for your purchases. Originally I wanted to go with all matte stickers because they were supposed to be reposition-able, but I've found that while they can be moved, getting them off destroys some of the ink on the top and it doesn't look as nice. Also, glossy stickers' colors are much more vibrant. I think the next time I order the monthly kits, I'll go with glossy even though they are usually a few dollars more expensive. 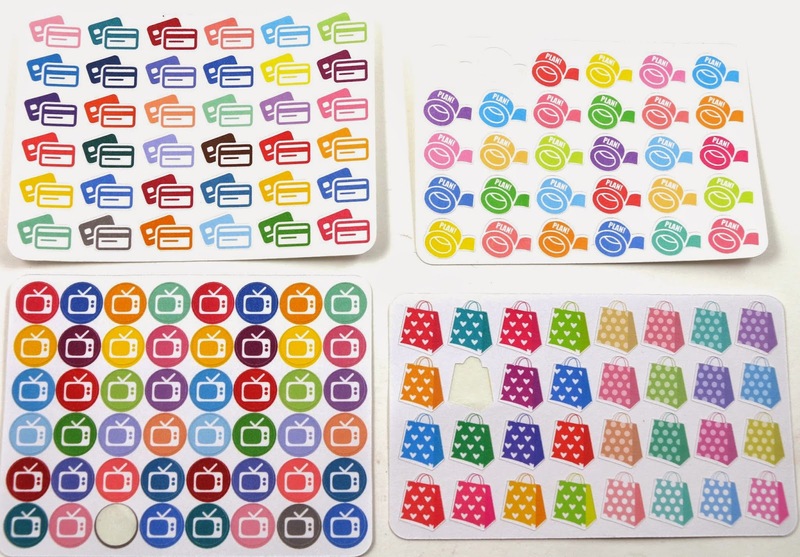 I think the other stickers they have are great if you just want some small colorful stickers to denote certain things in your planner. And One Orange Snowflake has a ton of variety to choose from, so you can absolutely find something that works for you!